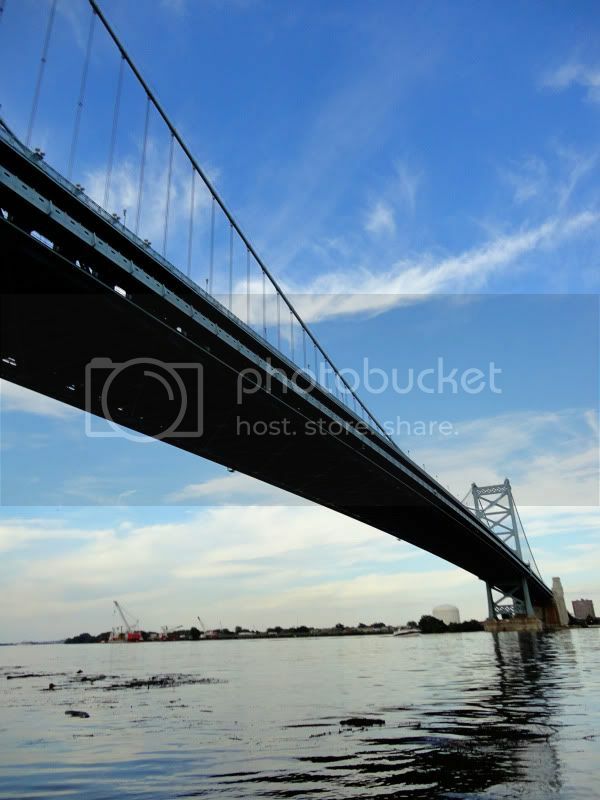 Philadelphia Trip: 8/31-9/1/2011 & a giveaway! 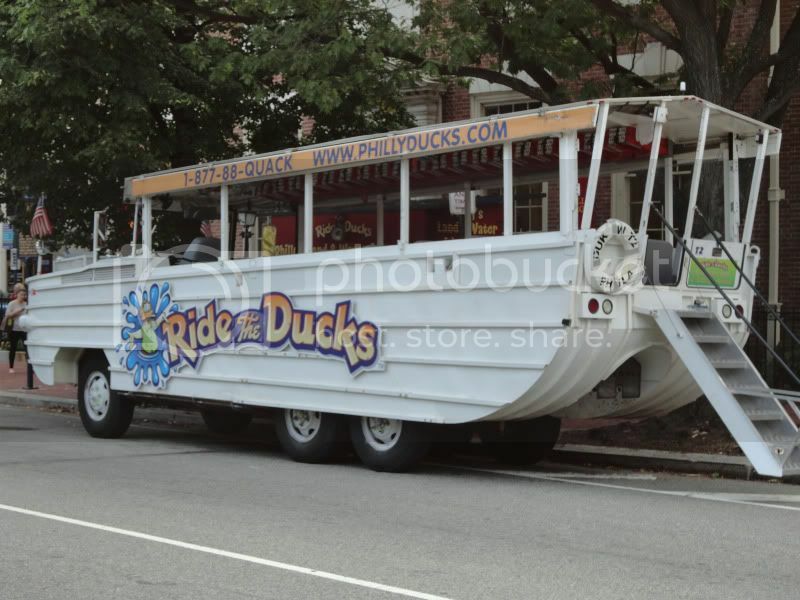 Note: The Duck Boat Tours in Philadelphia, no longer operate. 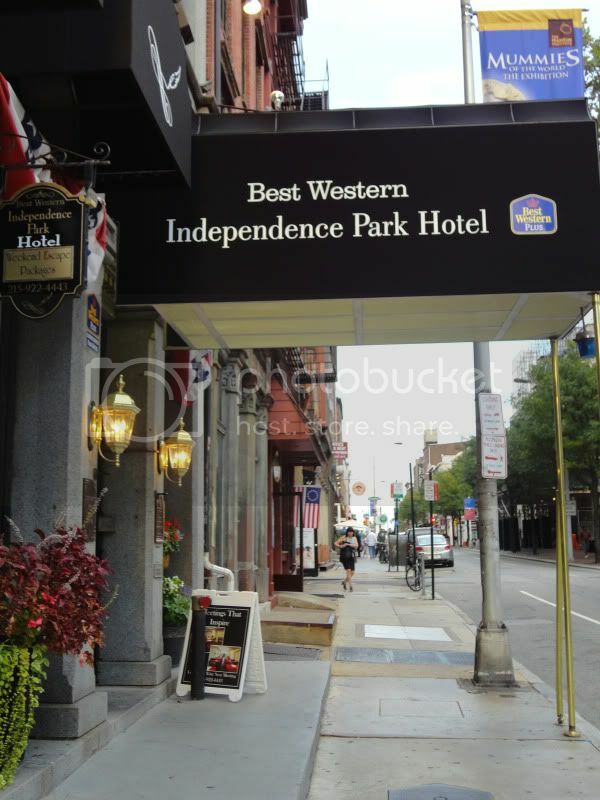 On Wednesday we had our overnight trip in historical downtown Philadelphia, for my birthday weekend! (My birthday is Sept 4th). 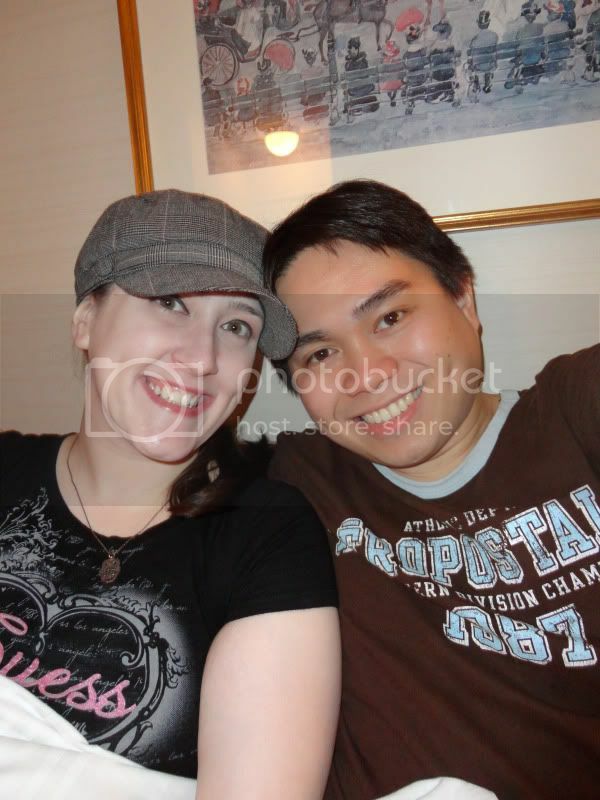 We had a really nice time and we got to see a bunch of places! We took the train downtown and the weather was sunny and around 86 degrees both days we were down there which was good, because we walked everywhere! 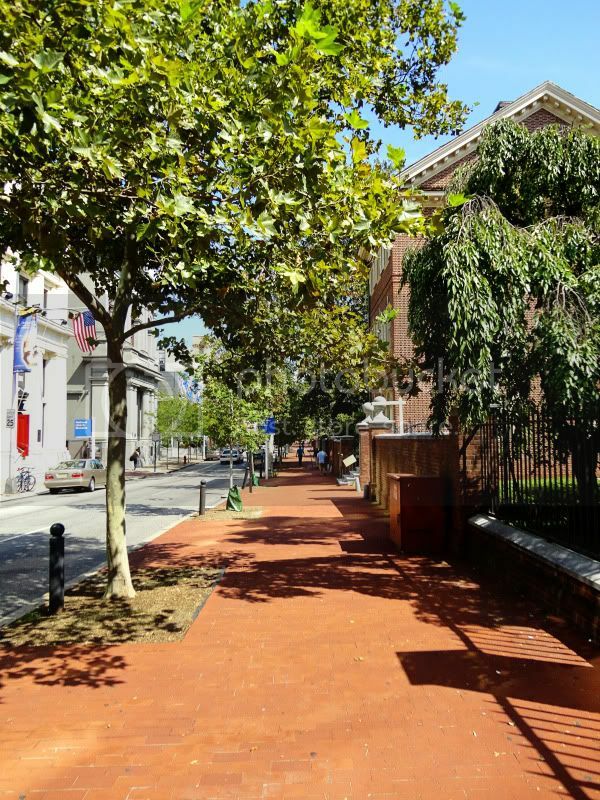 Our hotel was down the street from Independence Hall and right in the middle of all the historical spots, so it was ideal for walking. 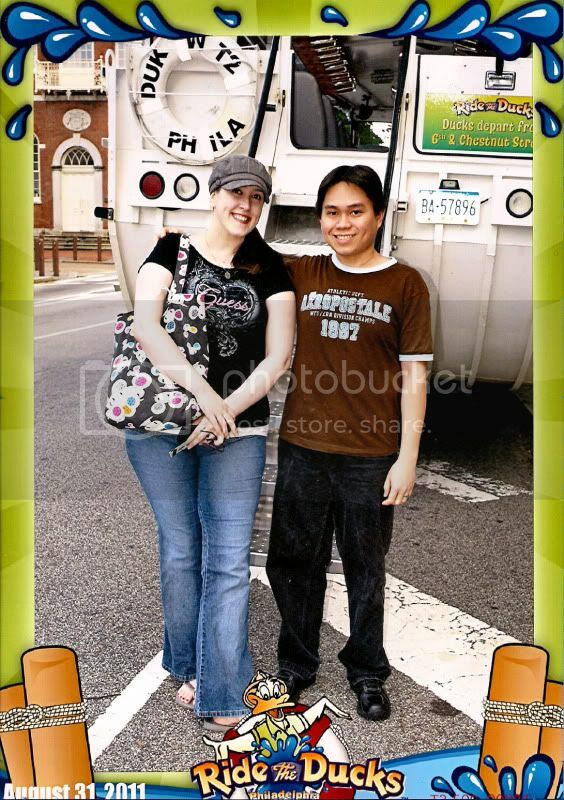 We didn't need to take any transportation, aside from the train to get us downtown and back home. To view all 108 pictures from our trip please click here! Here's a few from our trip! 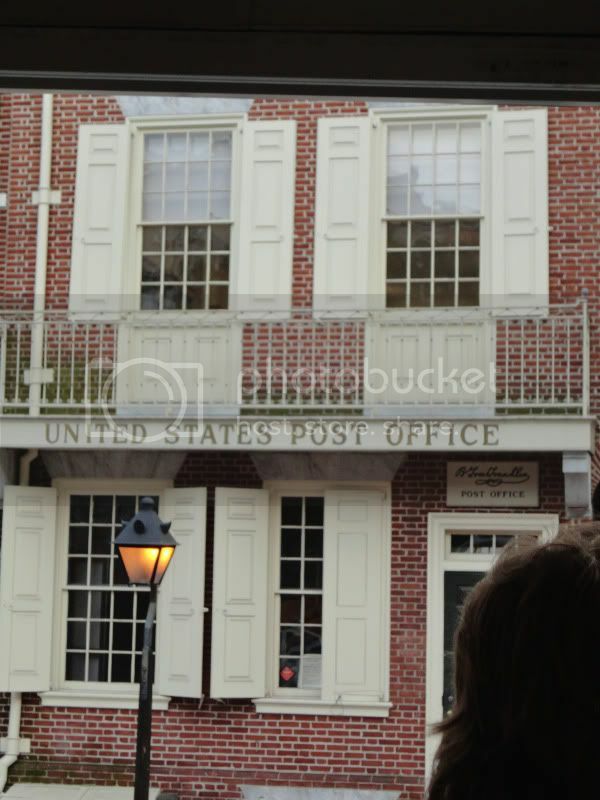 Wednesday before we checked into the hotel, we got to see the Liberty Bell and Independence Hall! 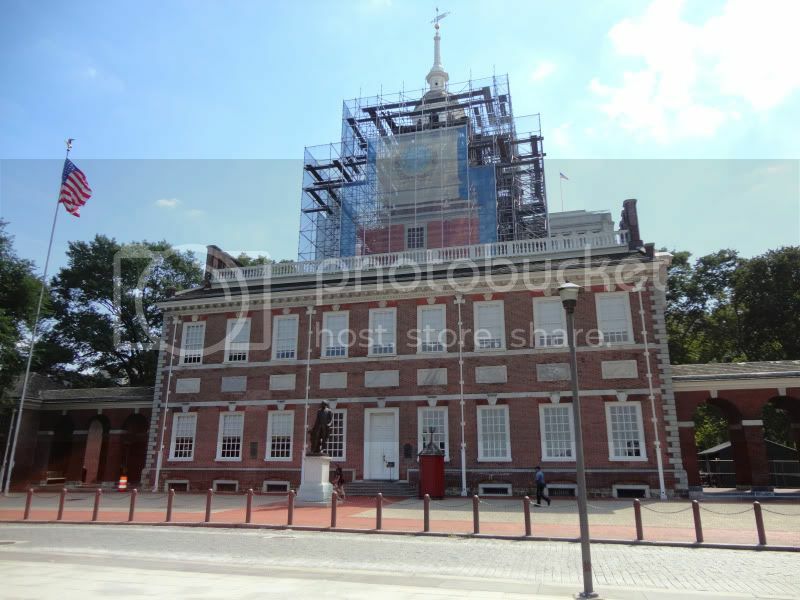 Independence Hall- they were renovating. 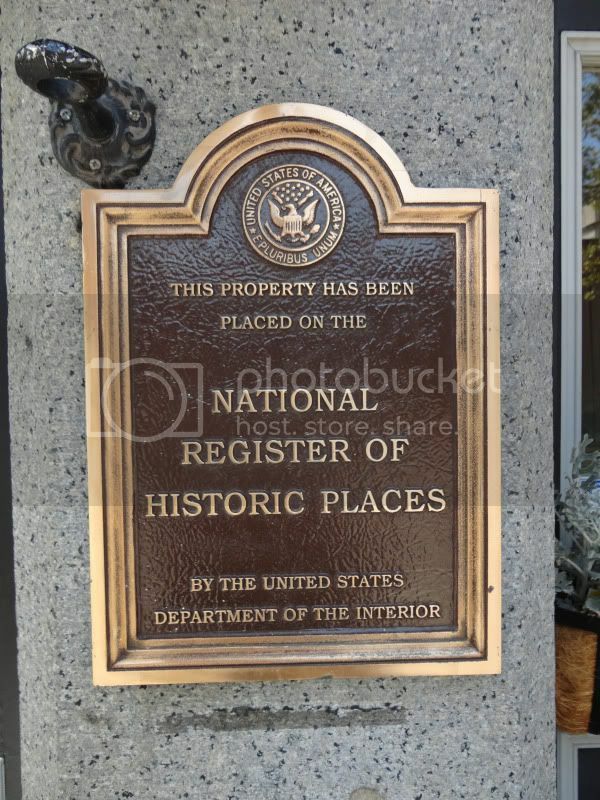 Our Hotel is a historic building. 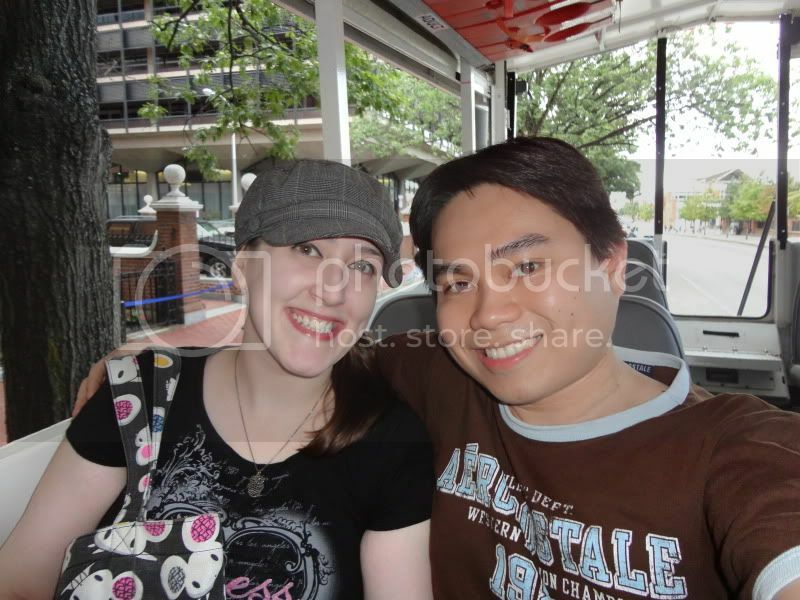 We took the Duck Boat Tour Wednesday evening. 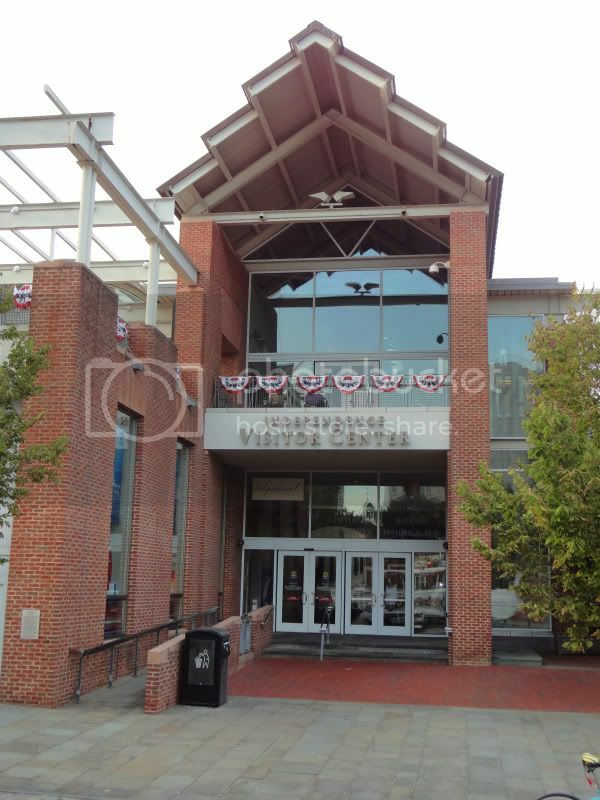 When we got there to check in, they refunded us $12 on our tickets, because they said they weren't going to be going out on the water that evening because of the aftermath from Irene. I don't know what changed but midway through the tour- we did go out on the water after all, lol! 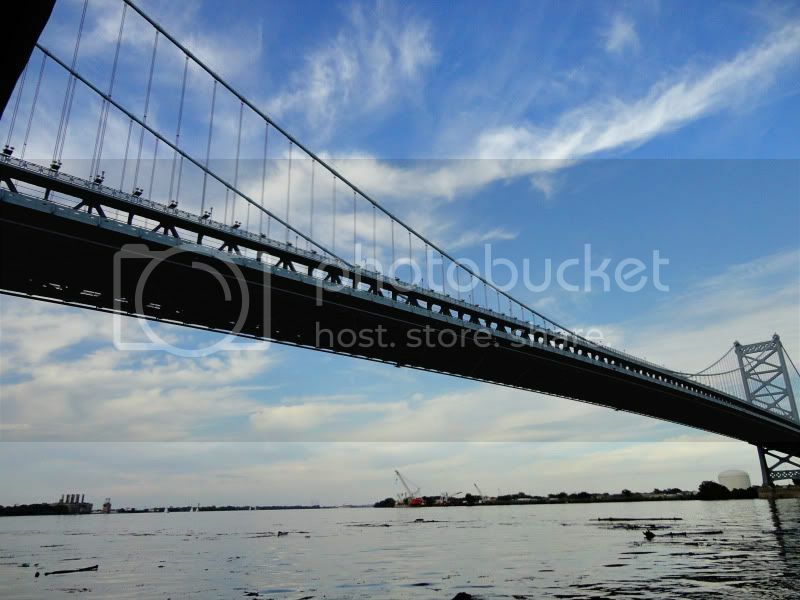 There was a lot of debris floating in the Delaware River but we kept to the side.There wasn't room service at our hotel, so for dinner we walked down to a Wawa on Walnut street and picked up a salad and wraps for dinner Wednesday night. 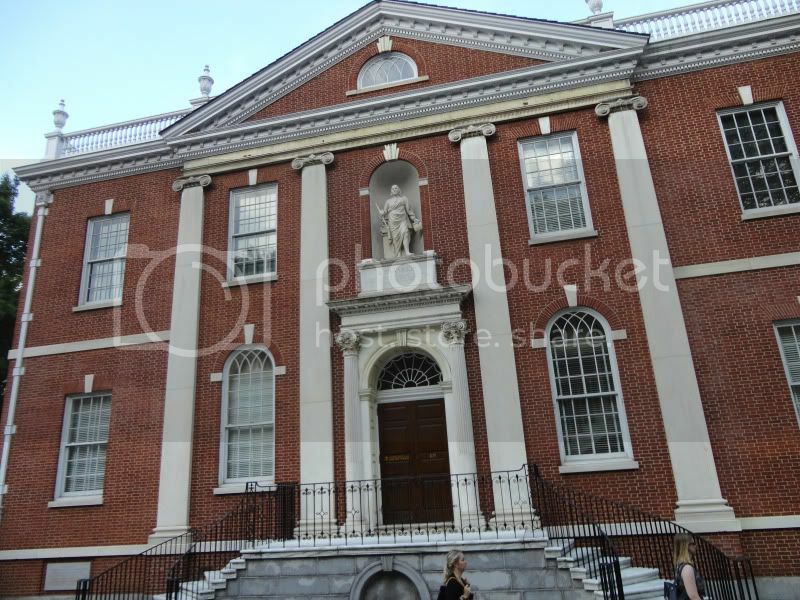 Where Ben Franklin had his society for intelligent gentlemen. 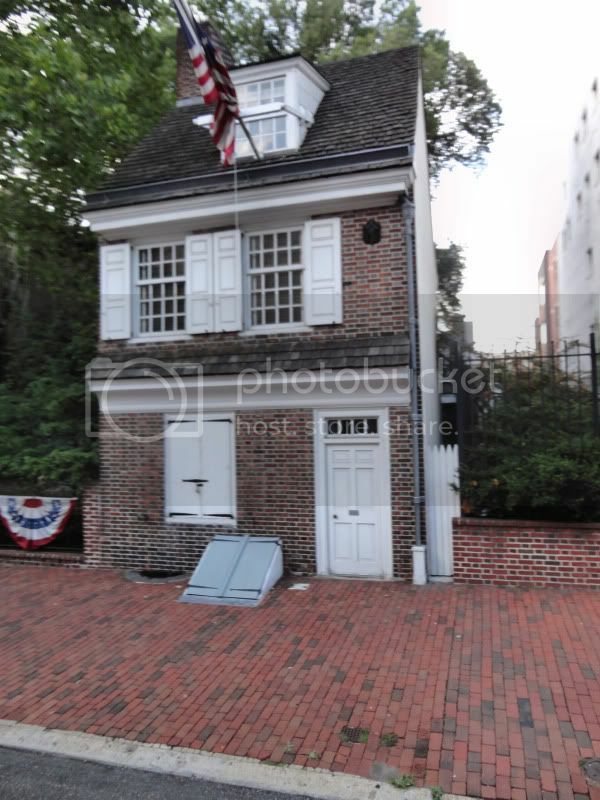 First Post Office in the United States. 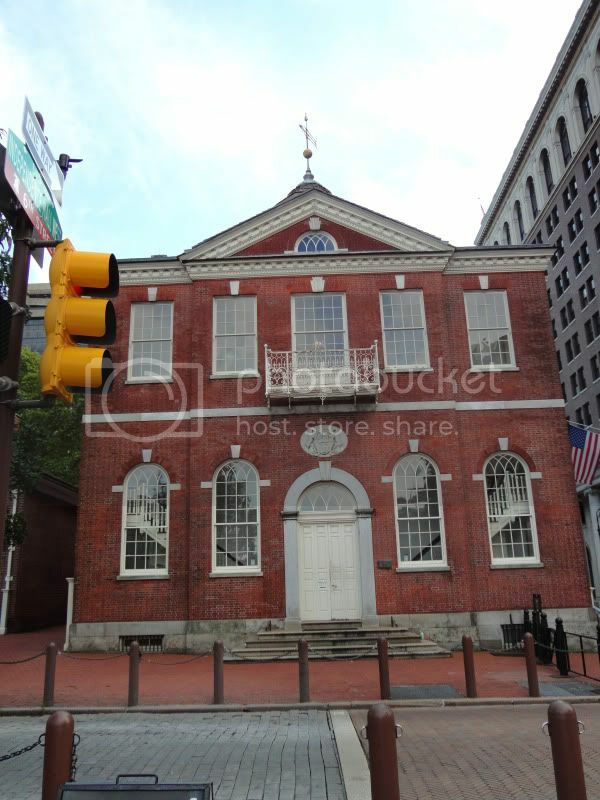 First Stock Exchange in the United States. 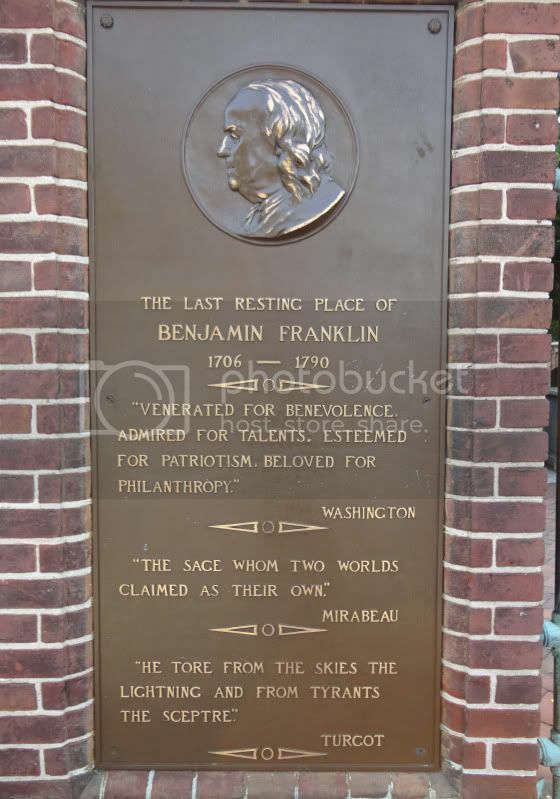 Thursday morning we had breakfast at the hotel and checked out around 12pm.Then we visited the Independence Visitors Center and Christ Church Cemetery. 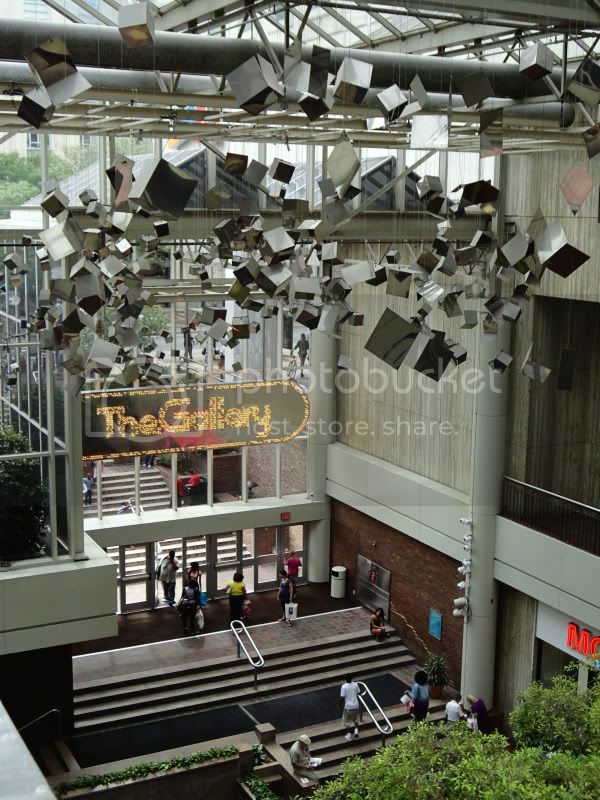 After that we went to Reading Terminal Market and finished up at The Gallery before taking the train home! 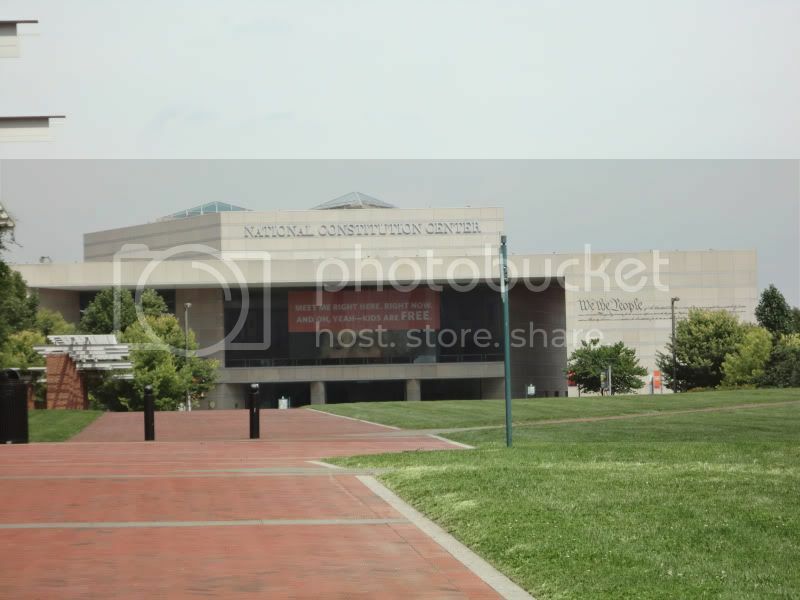 Constitution Center- we didn't get to visit. 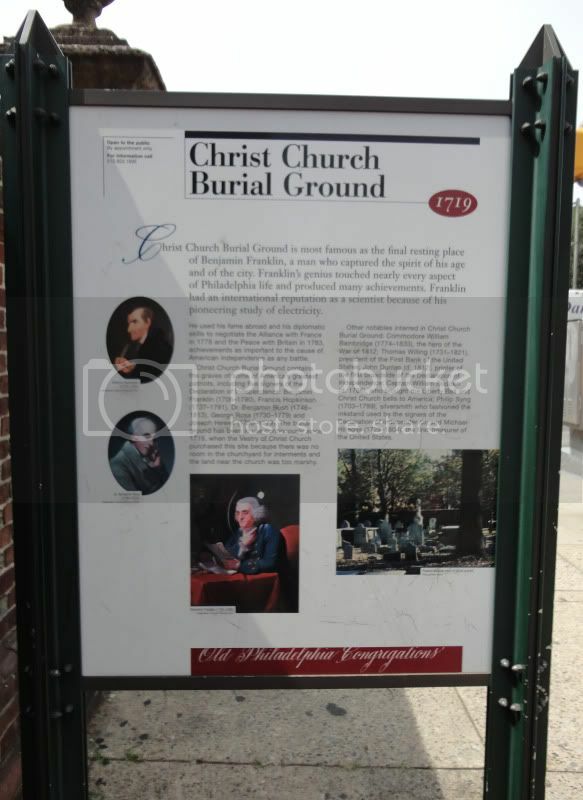 Christ Church Cemetery- Benjamin Franklin is buried here. 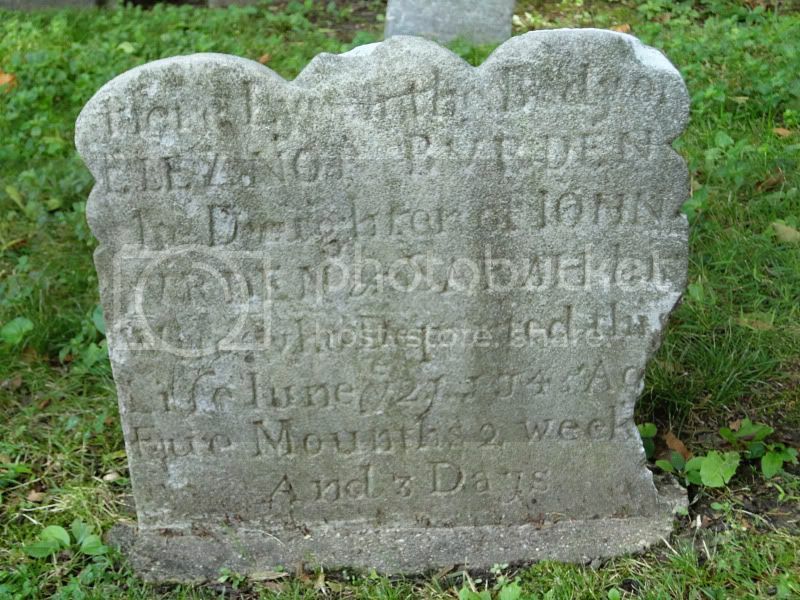 There are so many old tombstones, some of which the writing is no longer legible. 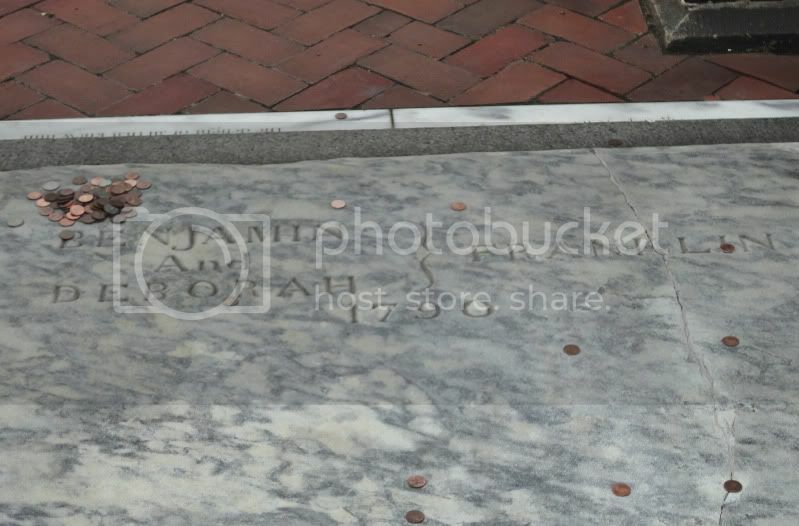 Benjamin Franklin's Grave- they throw pennies on his grave. A penny saved, is a penny earned. Sad... Eleanor, aged 5 months, 2 weeks, 3 days. This little girl was only 9 years old. 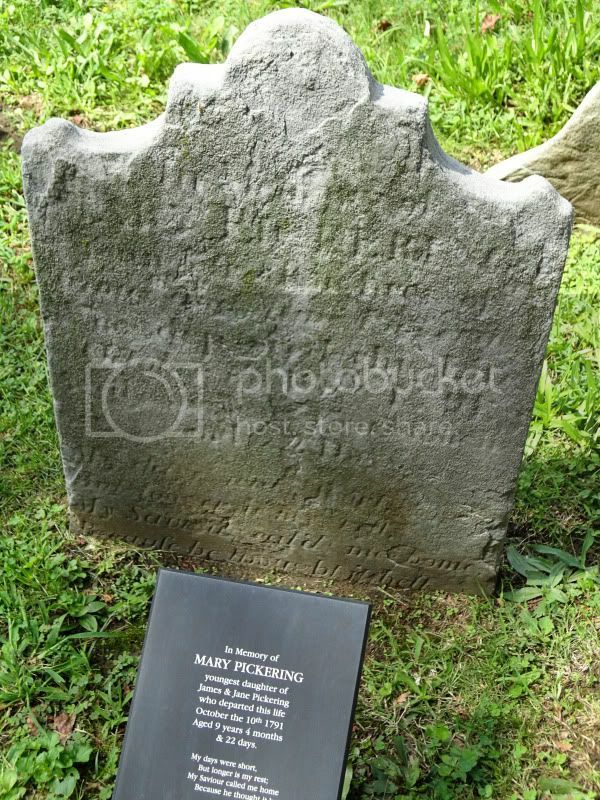 She passed in 1791. 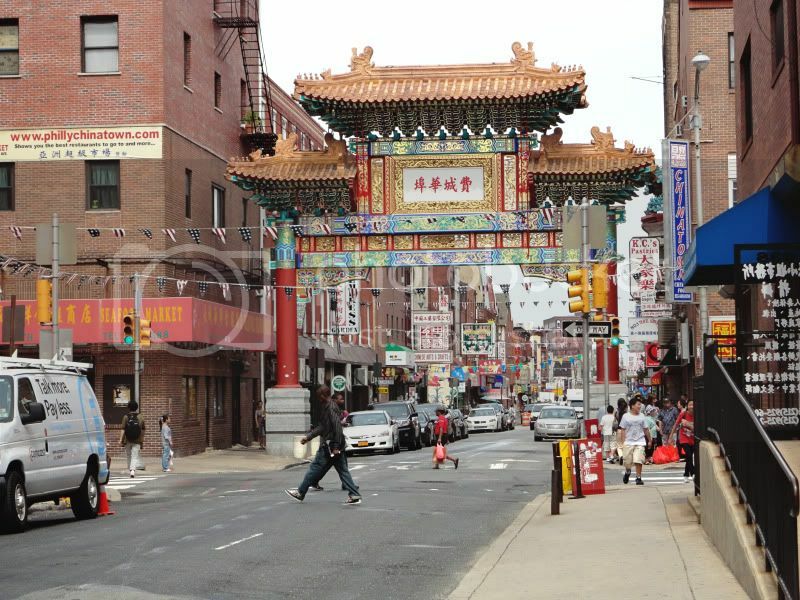 Entrance to China Town. We didn't get to visit, so we'll go back some time. 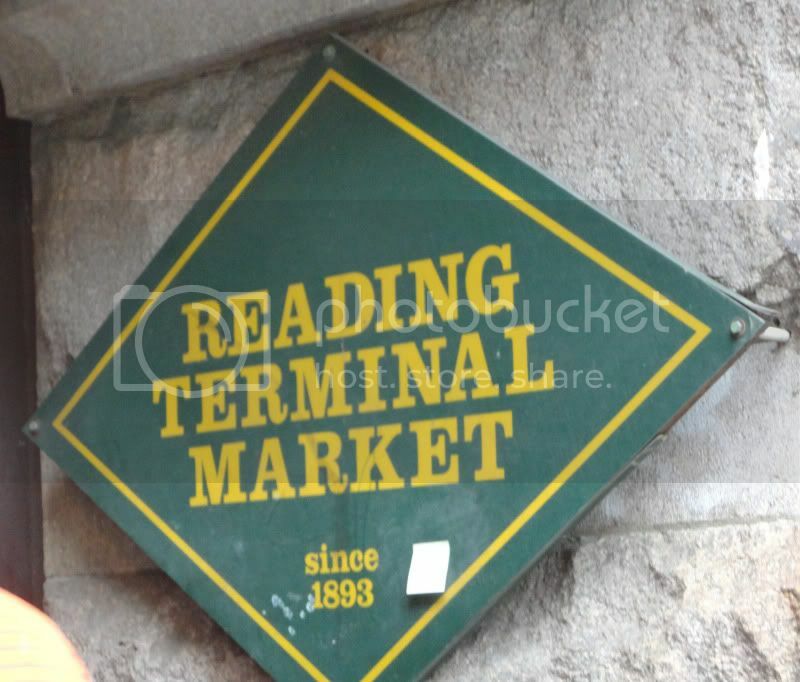 Reading Terminal Market was crowded! 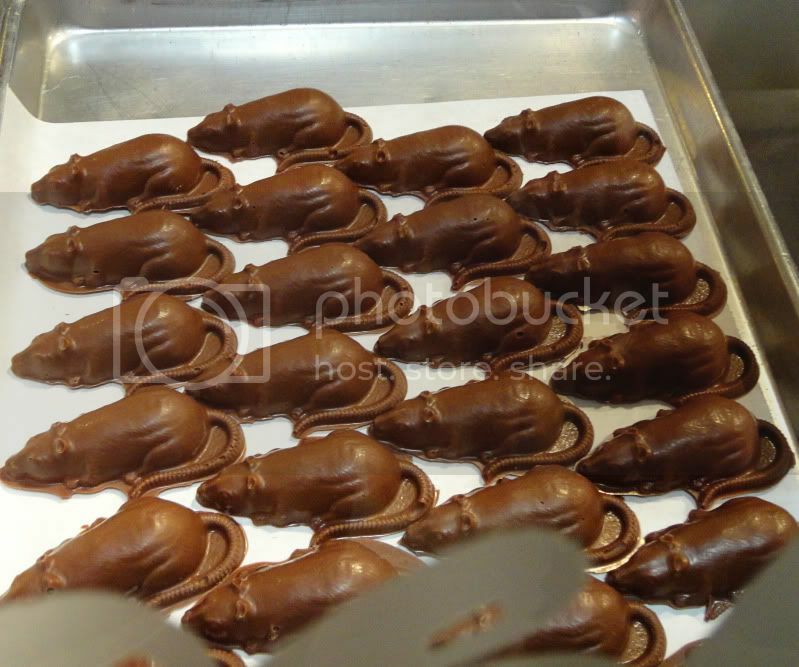 I saw these Chocolate Rats and wanted to get some, but they probably would have melted on the train ride home, lol! 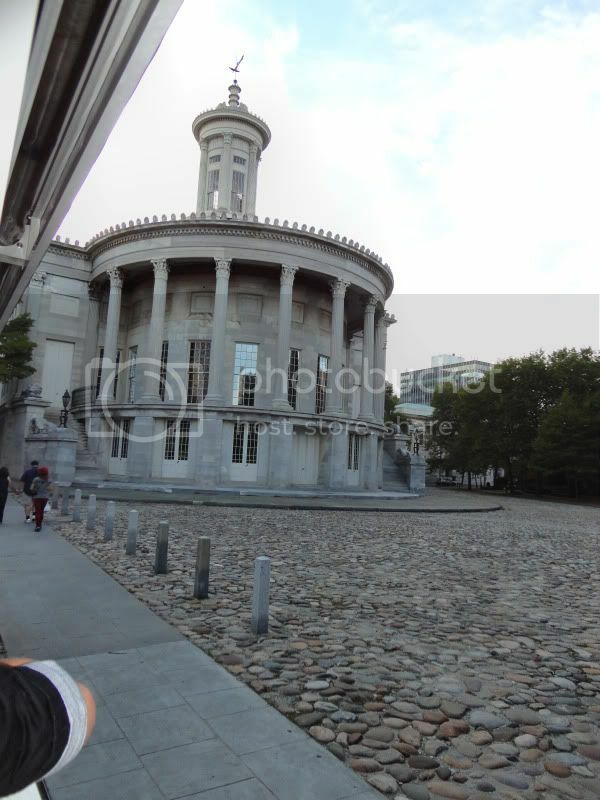 Afterwards we headed to The Gallery. We picked up Popeye's Chicken and Cinnabon to take home for dinner/dessert, hehe. 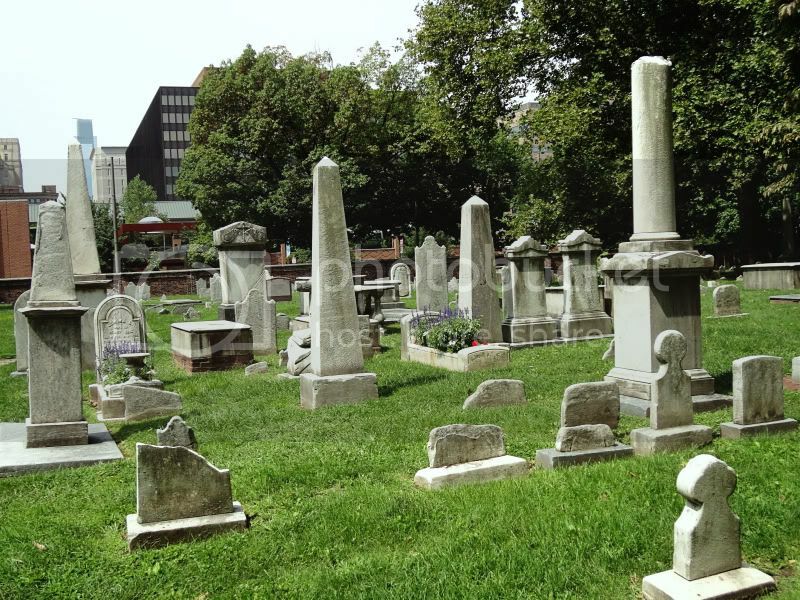 I'm giving away some Philadelphia souvenirs! 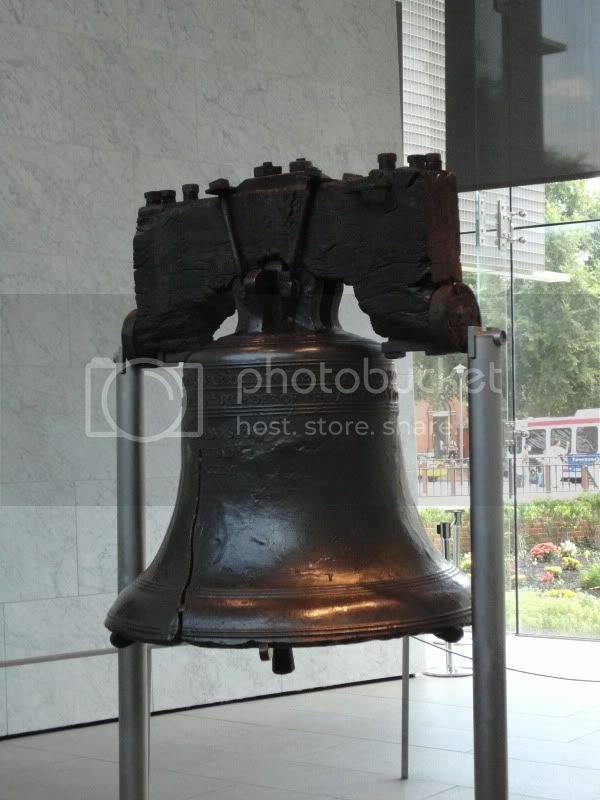 (Liberty Bell post card, Love Park Philadelphia Pen, Love Keychain with thermometer on the back). Also a family pack of one of Philadelphia's favorite treats- Tastykake Butterscotch Krimpets! 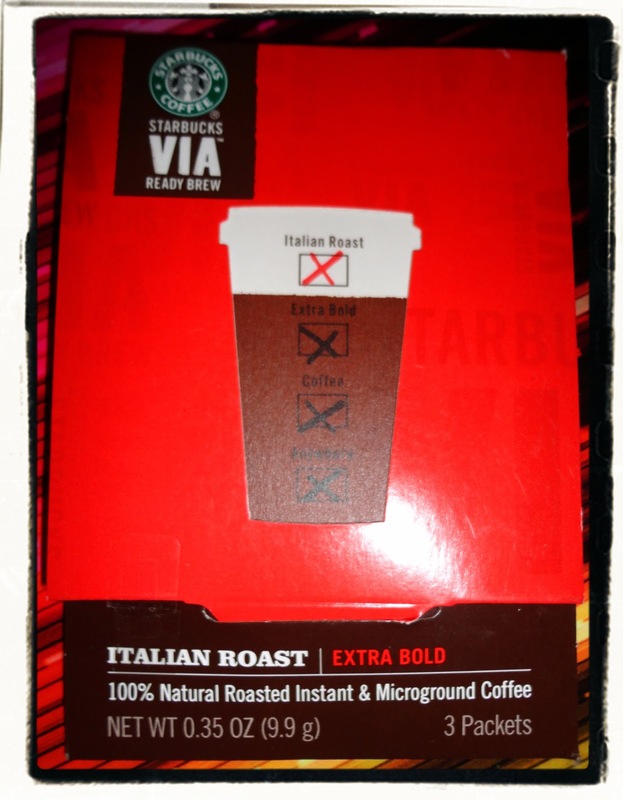 And a 3 pack of Starbucks Via Italian Roast! For extra entries- (Leave a separate comment for each extra entry). 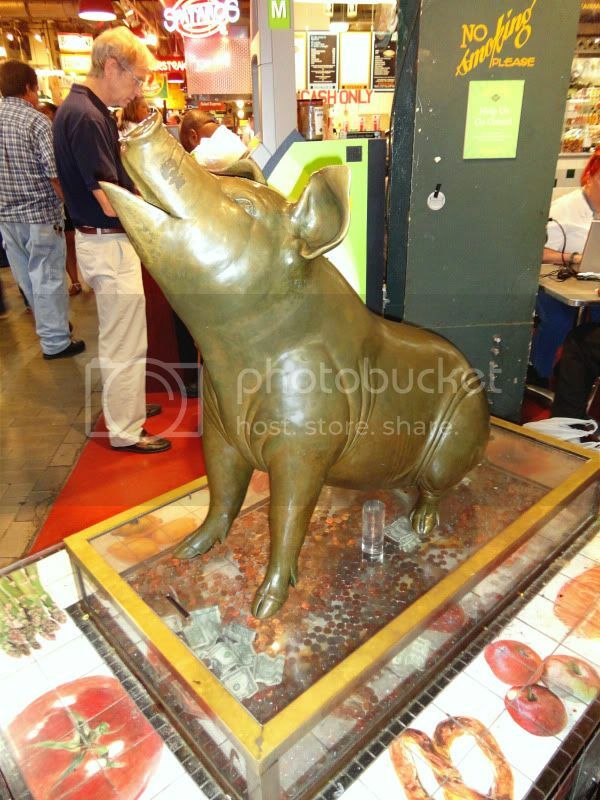 -Follow my blog on Google Friend Connect. (You can find the 'Followers' link under 'Contents' on the right hand sidebar. If you follow already you automatically get an extra entry if you answer the mandatory question). -Follow me on Twitter: @tunaynamahal82 (Include your user name in the comments. If you follow me already you automatically get an extra entry if you answer the mandatory question- just leave your Twitter username in the comments). -Tweet about this giveaway (Include your link in the comments). -Blog about this giveaway. (Include your link in the comments). Giveaway Ends: September 16th, 2011.12AM EST.